You’ve seen service dogs in the community. These dogs are trained to aid people suffering from various disabilities or diseases. They assist us in managing disabilities like autism, PTSD, visual and hearing impairments, and diseases such as epilepsy, cancer, diabetes, and osteoporosis. Individual service dogs are trained to deal with specific conditions that accompany specific ailments. Therapy dogs are also highly trained, but instead of aiding with physical tasks, they provide emotional and psychological comfort. They are often brought to schools, hospitals, nursing homes, and counseling offices. It’s important to note that while service dogs should not be approached while working, the opposite is true for therapy dogs. With their stable, friendly, and laid-back personalities, therapy dogs are there to offer emotional support to anyone who needs it. Dogs are kind, big-hearted, accepting animals. They have no agenda except to have their basic life needs met, be safe, and be part of a herd. They do not lie or judge, and they have no expectations of others. Nor do they see skin color, age, gender, social status, or disabilities. They just see and respond to the real person, which can be a profound and freeing experience for someone on the receiving end of the therapy. A dog’s ability to be social and highly aware makes him especially sensitive to a person’s emotional state. Research has shown that dogs are able to read human facial expressions and identify different emotions. Dogs communicate with one another through body language. They perceive contradictions between facial expressions and body language in humans, and when something doesn’t add up in a person, they’ll respond accordingly. This ability makes them exceptional therapy animals. For quite some time, dogs have been used for their therapeutic benefits. In fact, records as far back as the 1700s describe dogs being present in mental health facilities to help patients. After World War II, the American Red Cross also relied on dogs to help calm injured veterans. And in the mid-1970s, a registered nurse named Elaine Smith noticed the positive ways her patients were responding to a golden retriever that one of the chaplains brought with him on visits. In a journal, she noted the way the “patients’ faces lit up and their moods calmed.” Soon after, Smith began training dogs in order to take them to hospitals and other institutions. At our office, Mariah is the therapy dog on duty. 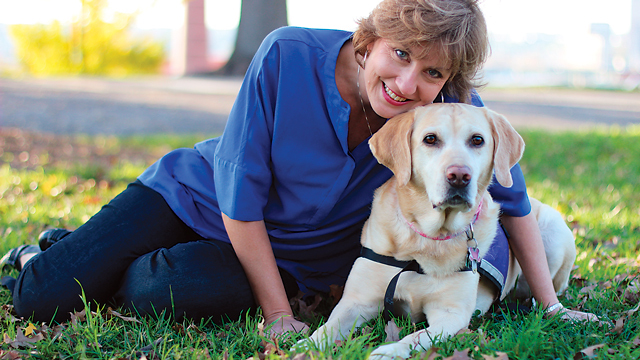 An 8-year-old yellow Labrador, Mariah makes a subtle, but profound impact. During a session, when Mariah senses her services are needed, she’ll go to a client and lay her head down on his lap. Other times, if the conversation is awkward, she’ll let the client take her for a walk outside. Therapists have also used Mariah to show children how to follow directions or consider feelings when interacting with her. She is even helpful when children get restless in the lobby. In therapy, Mariah’s presence instantly distracts and calms patients. The truth is, whether a dog is a trained therapy dog or a beloved pet, it’s almost always good for humans to have them around. Research shows that just holding or petting a dog can significantly decrease blood pressure and heart rate, which in turn can help with diseases related to those conditions. From listening attentively to a child who is practicing reading aloud to visiting with a senior in assisted living, therapy dogs and their owners work as a team to improve the lives of people in the community every day. Next articleHappy 2017, RFM Readers! 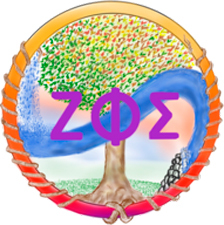 Yvonne Campbell, LCSW, is the founder of Zoe Therapy Services and has been practicing for more than twenty-five years. She lives and works in Richmond.